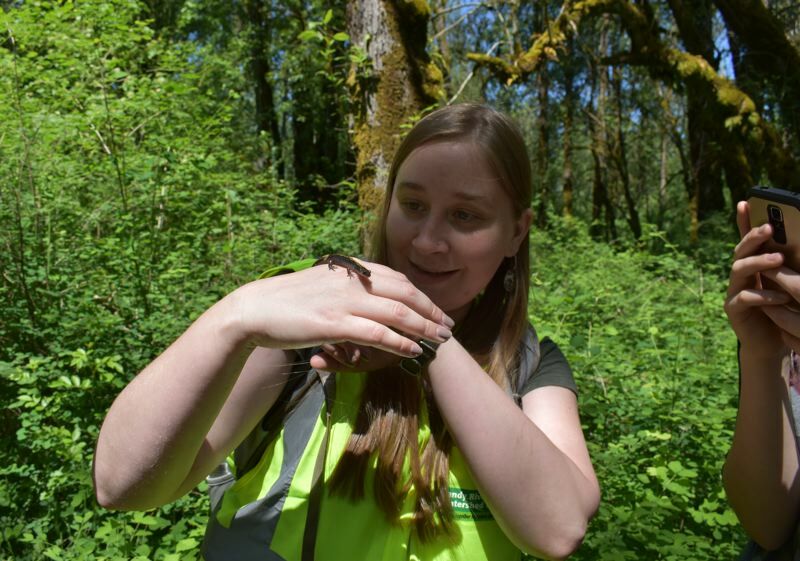 Since 2002, volunteers have planted more the 2.1 million trees in a 1,500-acre recreation site at the Sandy River Delta. 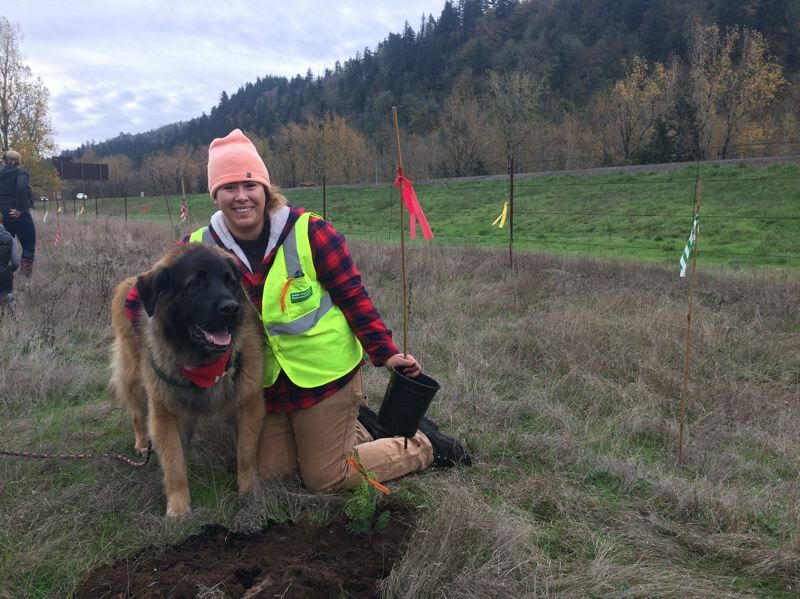 In 2018, 854 volunteers planted more than 5,200 regionally native trees and shrubs at the delta. The yearly restoration efforts are part of a bigger picture of transforming the area at the confluence of the Sandy and Columbia rivers back into a natural area, said Steve Wise, executive director of the Sandy River Watershed Council. The council, along with help from government and nonprofit organizations, has been restoring the site north of Troutdale over the past 10 years. "In the same time that we've been planting, the Sandy Delta has become the second most popular tourist area in the Columbia River Gorge," Wise said. Multnomah Falls far eclipses the popularity of the delta. But the second-most popular tourist site attracts more than 100,000 visitors each year — and they are bringing along their dogs. While the pets are permitted, the people and pets are putting more stress on the site. "It's a double-edged sword of popularity: While it's wonderful, it puts a lot of pressure on the area," Wise said. As part of the increased recognition, media outlets have incorrectly referred to the delta as the Portland area's best dog park. Wise emphasized it's not a dog park, but a natural recreation area that allows dogs. Part of the Watershed Council's job is to inform the public about the difference. To prevent tourists and their pets from wandering off to the more sensitive wildlife spots, fencing was installed, and signs were installed in multiple languages telling visitors to stay out. Dogs aren't the only issue that the council has to address with restoration efforts. The council is now using restoration strategies to account for climate change. "Traditional restoration practices are to bring back the historical elements, but climate change doesn't allow that," Wise said. "We have to look at Oregon as it is becoming — not as how it has been." The council is still leading efforts to plant native vegetation, but now focuses on plants that can handle dryer and hotter summers. "All the science is showing that this is not a future thing — this is a new normal — there's a new balance coming to the climate," Wise said. By preparing for the changes now, the council can create a greater impact with its restoration efforts. For example, trees can take years to establish. By planting them now, the arbors will be well established and can withstand the more arid summer predicted for 20 years from now as a result of global climate change. 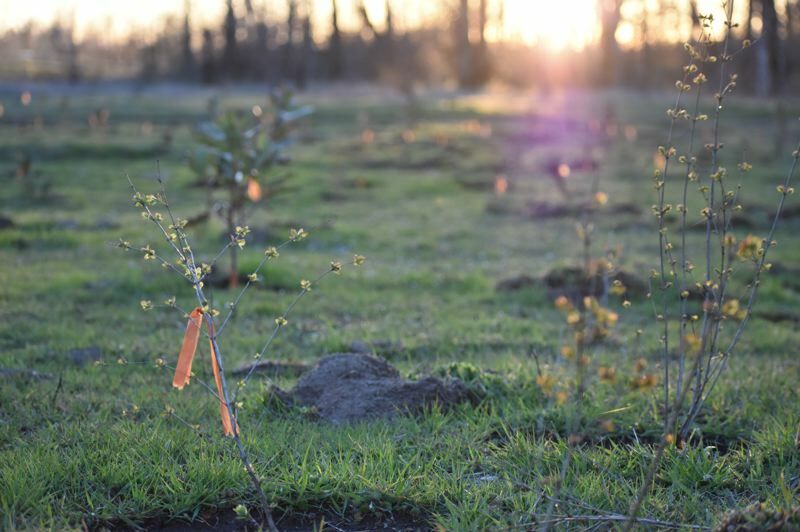 To help with restoration efforts, a volunteer planting program will be held from 8:45 a.m. to 1 p.m. on Saturday, Feb. 2, at 1000 Acres Park, 99 Crown Point Highway, Troutdale. Volunteers are welcome to bring their dogs.